Sara Easton is a student at Grand Valley Middle School. 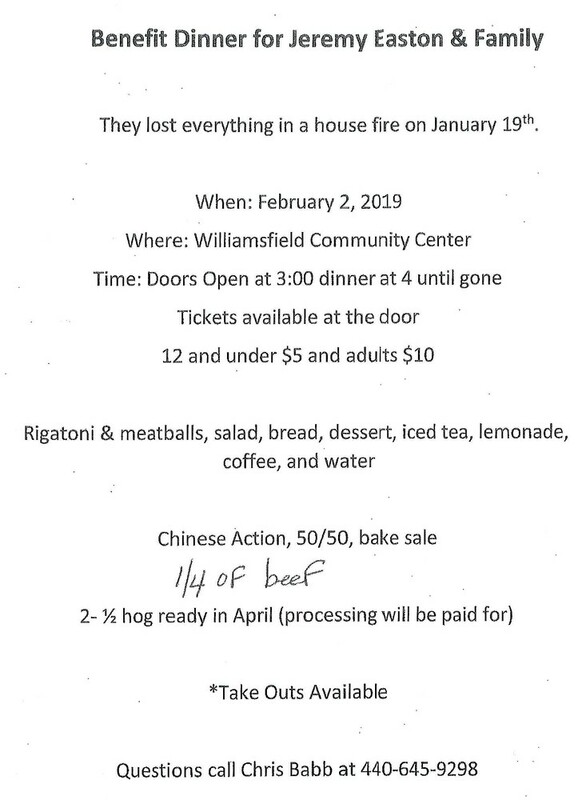 They had a house fire and having a benefit dinner on Saturday, February 2nd. Any questions, please call Chris Babb at (440) 645-9298.